The oversize arm opening and lace inset panel make this a great piece to wear over a cami or collared shirt! 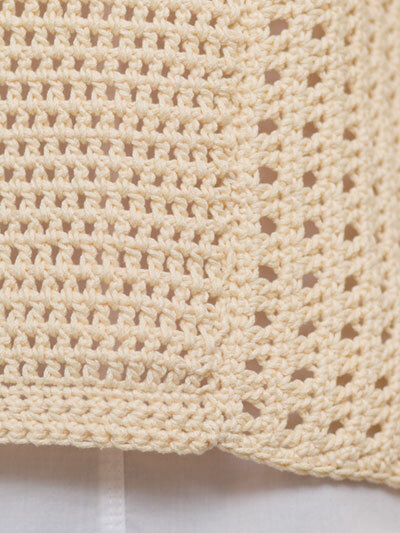 This pretty design is made using 4 (4, 5, 5, 6) balls of Omega Sinfonia DK-weight yarn and a size H/8/5mm crochet hook. Instructions are written for woman’s size S (M, L, XL, 2XL).